Opening with the ominous, fiery protest of "Sunday Bloody Sunday," War immediately announces itself as U2's most focused and hardest-rocking album to date. Blowing away the fuzzy, sonic indulgences of October with propulsive, martial rhythms and shards of guitar, War bristles with anger, despair, and above all, passion. 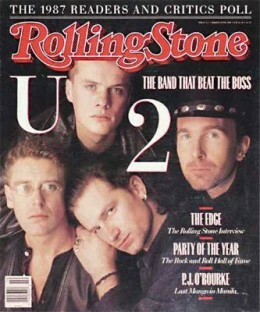 Previously, Bono's attempts at messages came across as grandstanding, but his vision becomes remarkably clear on this record, as his anthems ("New Year's Day," "40," "Seconds") are balanced by effective, surprisingly emotional love songs ("Two Hearts Beat as One"), which are just as desperate and pleading as his protests. He performs the difficult task of making the universal sound personal, and the band helps him out by bringing the songs crashing home with muscular, forceful performances that reveal their varied, expressive textures upon repeated listens. U2 always aimed at greatness, but War was the first time they achieved it. This one is dedicated to all of the wonderful folks of the Avax MFSL Team. Peace and Love to you all!